Color and fabric choice is everything when it comes to creating your own look! Think outside the box - maybe you just dislike the colors being used in the photo you see, instead of the style itself. If you adjust the colors and fabrics you see in the photo to something you prefer ... the style possibilities are endless! You can create a completely new look, something unique to your team! It's the easiest, quickest, and most cost effective way to create your own custom costume, at a fraction of the price of starting from scratch. Take the Cleopatra costume, below, as an example - two very different looks created by a simple color change on a base styles. White and bright vs dark and glam! These Cleopatra themed dance biketards look great in either light or dark colors! 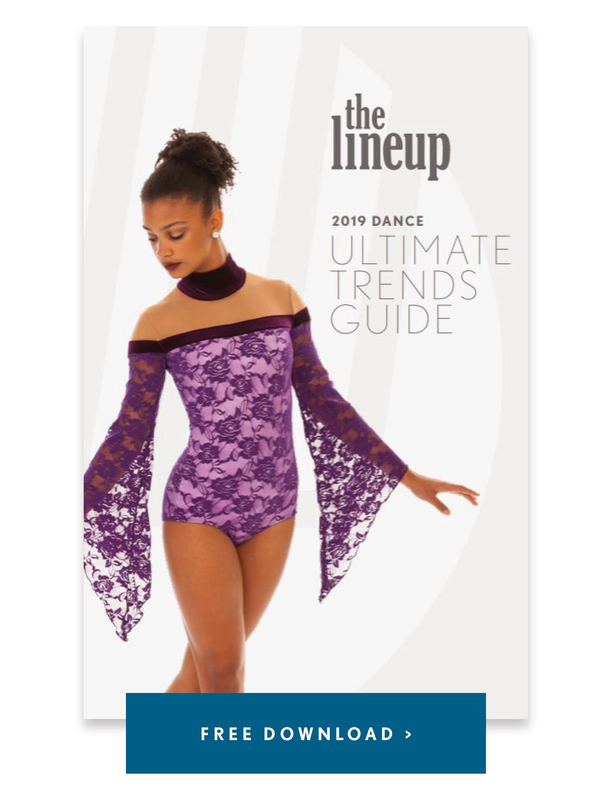 Most dance costume companies offer costumes in a few set color options, but others may also allow you to mix and match colors yourself, for a made-to-order style. Often this option is available with a small fee, or even as a free upgrade! Even if isn't on their website, call to as if it is a possibility! Look into the options for a selected style. Can you choose from a set amount of color schemes, or can you choose different colors for each part of the garment? Knowing all your options and narrowing down from there will help you decide if customizing colors on a dance costume will work for you. Are you looking for bright tones or a more romantic look? Do your research on fabric substitutions too! Customizing your look isn't limited to color selection. There are also many types of fabric to choose from. Do you want a sparkly or matte look? Sequin encrusted or lace? Knowing the types of fabric available to you will help narrow down your color choice as well! A great example of how fabric can transform your look? Substitute a solid color for a sequin encrusted fabric, like below. It can give an ordinary dance costume some phenomenal and sparkling stage presence! Sequin encrusted Zsa Zsa fabric adds a little sparkle to this classic style! If you go into costume shopping with an idea of what colors you’re looking for, you can simply apply it to any costume! Find a silhouette and style that matches your theme and apply your colors! Other dance styles - browse until you find a color scheme that you like and apply that to your desired style! Go girly with pastels or go with a red/black combo for an edgier look! St. Charles Dance Team chose red for their military themed dance top. Go bold with a solid color and contrasting belt, or dark and dramatic with a black monochromatic look for your dance costume! This Prism Ensemble dance costume looks dazzling with a contrast color sash or in a monochromatic color scheme! The Avery dance costume looks bold in burgundy or soft and delicate in pink! Dye sublimated dance costumes have tons of options for color customization! This synchronized skating dress has plenty of options for color customization with it's bodice, mesh skirt and blocking! A dye sublimated ombre on a dance costume or skate dress is the perfect way to show off your team's colors! 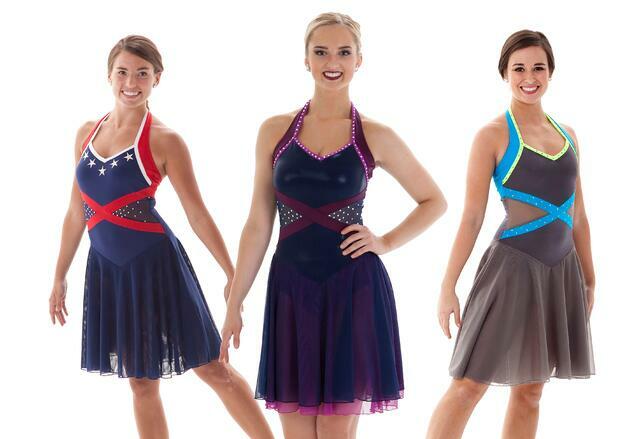 Patriotic, Jewel Tones, or Pops of Neon... What color combo works best for your dance or skate routine? How will you create your own unique look by customizing your colors and fabrics?! Need help planning? Consider this FREE downloadable guide!